‘Tis the season of sunshine and sun dresses, and I’m doing a happy dance because of it! 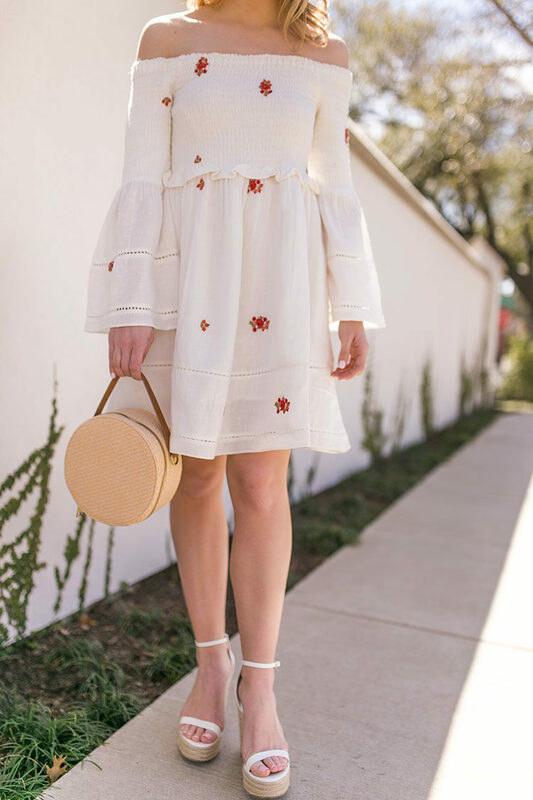 From Saturday afternoons spent outside with friends to graduations to beach vacations and more, the perfect sundress can take you anywhere. 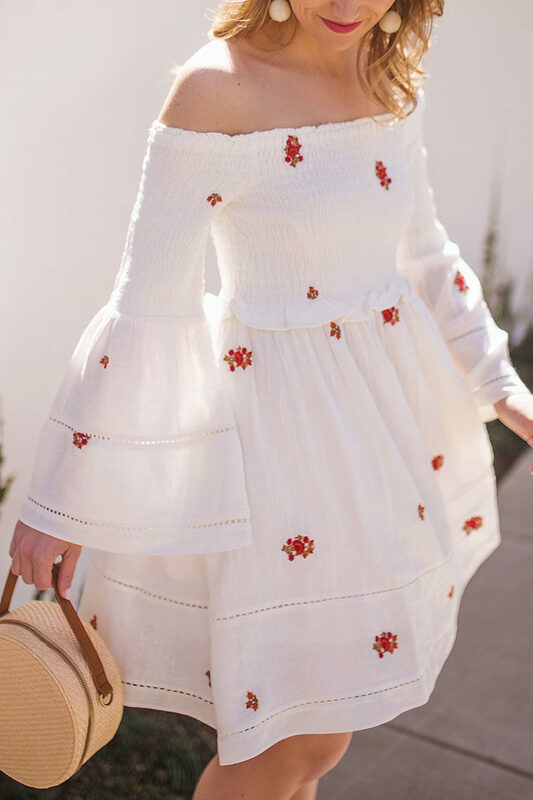 Enter this embroidered off the shoulder Free People dress! While I love Free People, I’ve found that sometimes their designs can get a little too bohemian for me. This dress in particular, however, struck all the right chords. 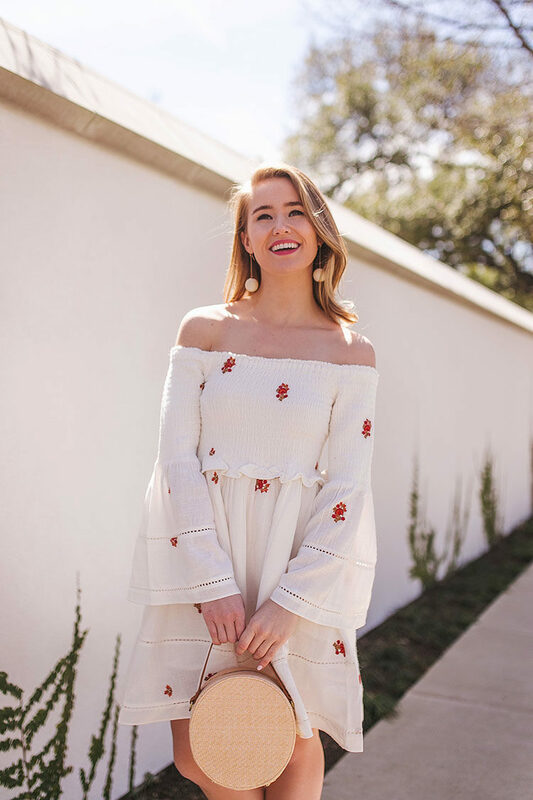 From the smocked, off the shoulder neckline to the ladylike length and feminine flared sleeves, it’s utter perfection and I can’t get enough of it! Today. it’s on sale for 30% off – no code needed! Better yet, it’s available in all sizes in all four colors… navy, red, yellow and white. If you’ve had your eye on this dress, now’s the time to pull the trigger! For size reference, I’m 5’2″ and am wearing a size XS. P.S. Looking for some more sun dress inspiration? Click here! I LOVE FREE PEOPLE! Super cute on you!